Spring is here and the ticks will soon be showing their heads. Here is a good way to get them off you, your children, or your pets. Give it a try. A school nurse has written the info below–good enough to share–and it really works! “Apply a glob of liquid soap to a cotton ball. Cover the tick with the soap-soaked cotton ball and swab it for a few seconds (15-20); the tick will come out on its own and be stuck to the cotton ball when you lift it away. Also, if you just pull a tick off, their heads sometimes break off and are left under the skin so this is much safer. Be aware also that a tick with a white speck on its back is a Deer Tick, these can cause Tick Fever so check yourself and your family good if you see any of these! 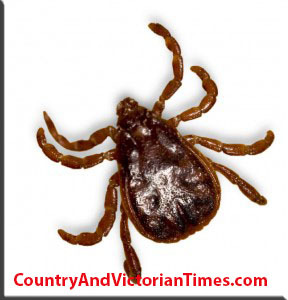 This entry was posted in Health & Medical, Home, Car, Yard, and Pets and tagged Cotton pad, Deer Tick, DEET, Infection, Lyme disease, remove, safetly, School Nurse, soap, Tick, Tick-borne disease. Bookmark the permalink.